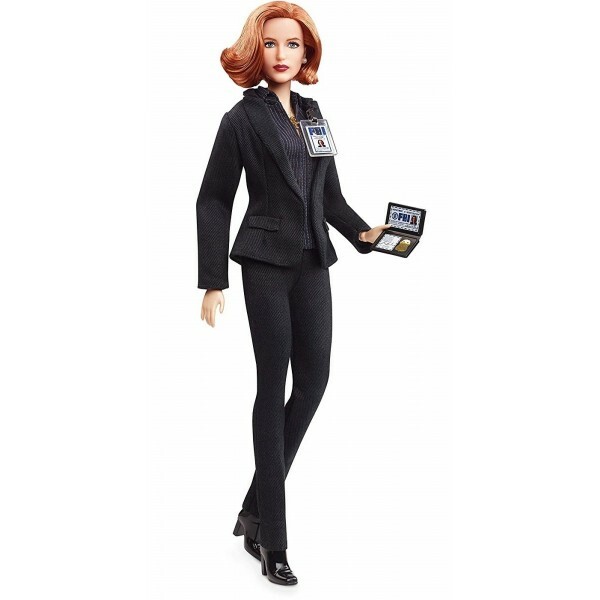 In honor of the 25th anniversary of The X-Files, Barbie celebrates the influential character Dana Scully, who introduced a generation of young women to a STEM-loving heroine! A medical doctor and natural skeptic, Agent Dana Scully attempts to explain the paranormal with science. Idealistic, intelligent, and with strong convictions, she perseveres to unearth the extraordinary secrets contained within the X-Files, risking her career — and her life. 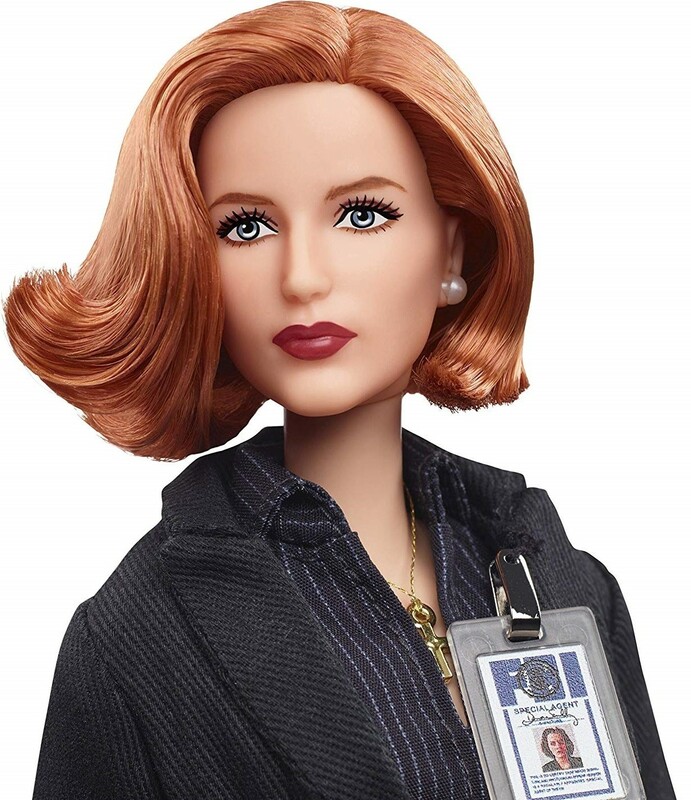 This Agent Dana Scully doll wears her signature look from the '90s: dark suit, "FBI" ID and badge. 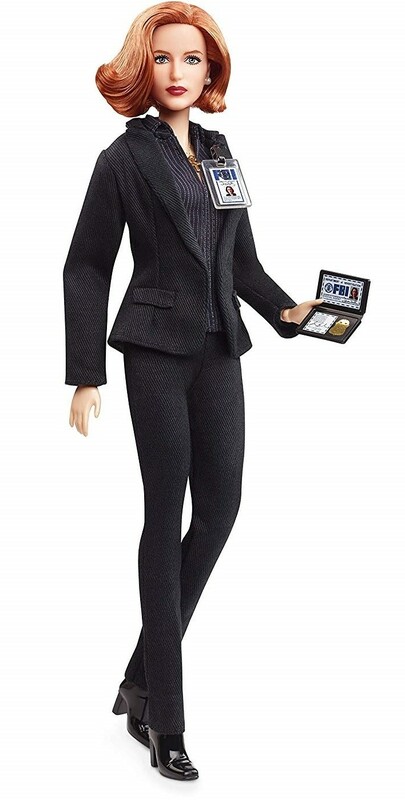 The doll is sculpted to the likeness of actor Gillian Anderson and is fully articulated. 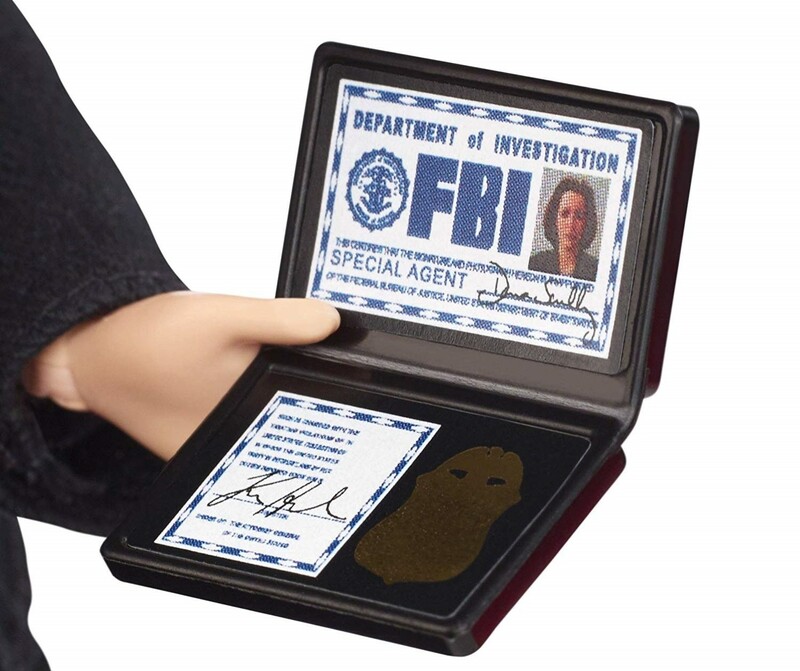 This set includes the doll, a doll stand for display, accessories, and a Certificate of Authenticity.